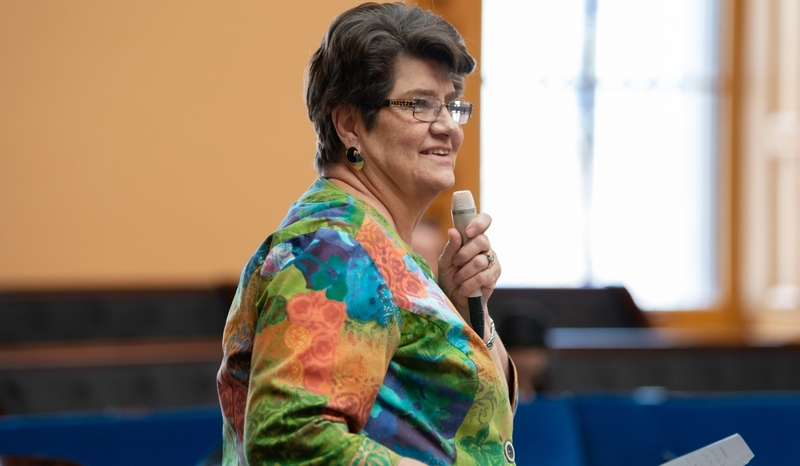 COLUMBUS—The Senate yesterday passed legislation sponsored by State Senators Peggy Lehner (R-Kettering) and Bob Hackett (R-London) that will ease the employment transition for military husbands and wives who relocate to Ohio with their active duty spouse. Specifically, the bill would generally require occupational licensing boards to reciprocate other states' licenses while they are stationed in Ohio. "Being from the Dayton area, I understand firsthand the impact that Wright-Patterson Air Force Base has on our community and economy, and this bill will help support military families when they relocate to our state," said Lehner. "We greatly appreciate the sacrifices our servicemen, servicewomen and their families make for our country and our community, and we all benefit from their valuable skills and contributions to our workforce." According to the Buckeye Institute, 73 percent of military spouses with an occupational license require a renewal or re-issuance of their license when transferred to a new state. The bill will allow agencies to issue temporary licenses for up to six years, giving individuals substantial time to become licensed under Ohio law while still enabling them to practice their professions upon relocation to the state. This aims to solve a primary issue reported by service members when they transfer to a new location for duty. Identified as a top priority by the Department of Defense, the legislation could impact Ohio's competitiveness in attracting new missions for Ohio's many military bases. Additionally, provisions in the bill would require the Director of Administrative Services to prepare a report for each fiscal year on the number and type of temporary licenses or certificates issued during the fiscal year. For more information on Senate Bill 7, click here. To watch footage of today's session, visit The Ohio Channel's archive, here.